Colors and style may vary. 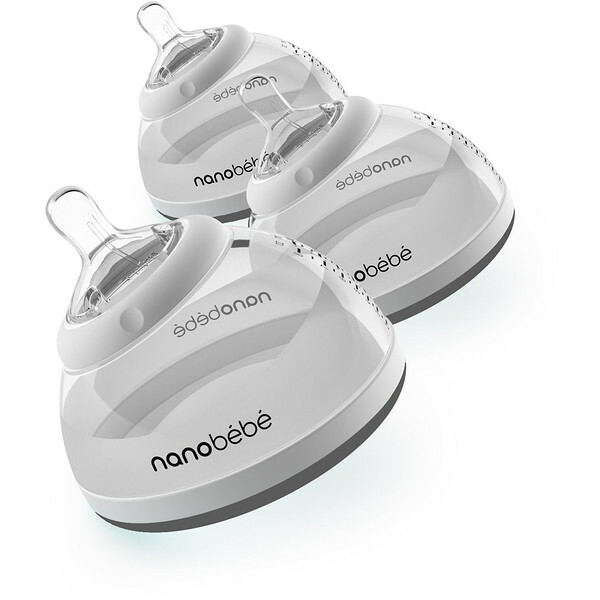 With nanobebe you can speed up prep time without exposing breastmilk to nutrient-damaging temperatures. 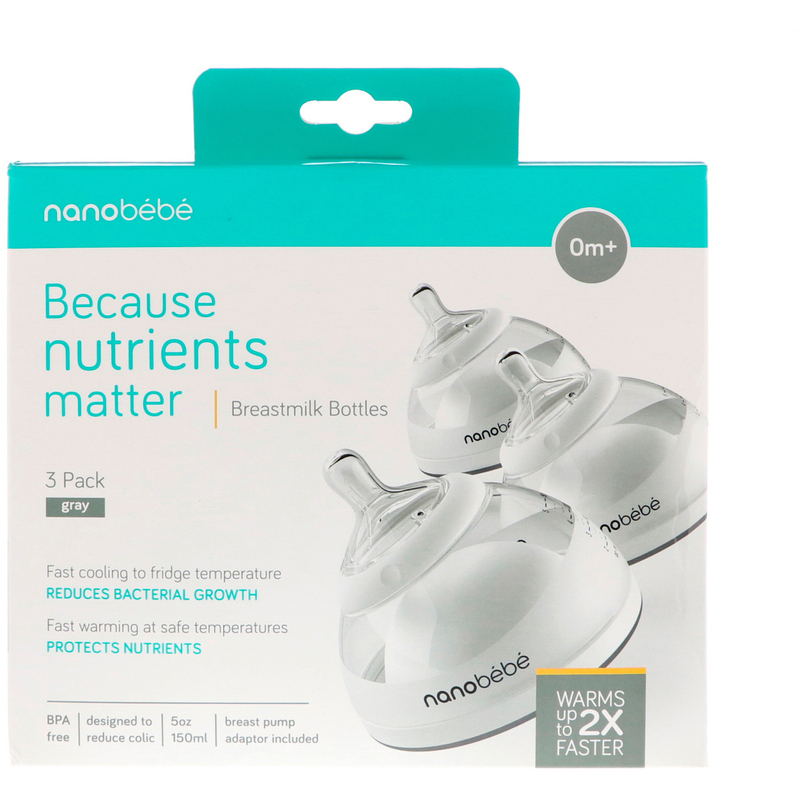 Bottle cools down quickly in fridge after pumping, which reduces nutrient-damaging bacterial growth. 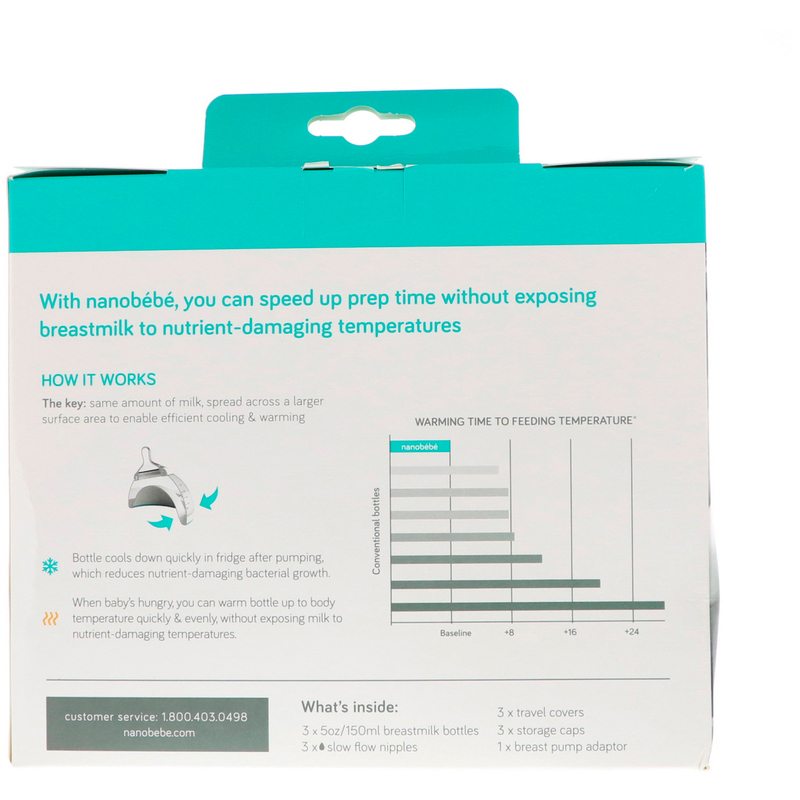 When baby's hungry, you can warm bottle up to body, temperature quickly & evenly, without exposing milk to nutrient-damaging temperatures.